At least six killed in explosions in Kabul during Persian new year festival. 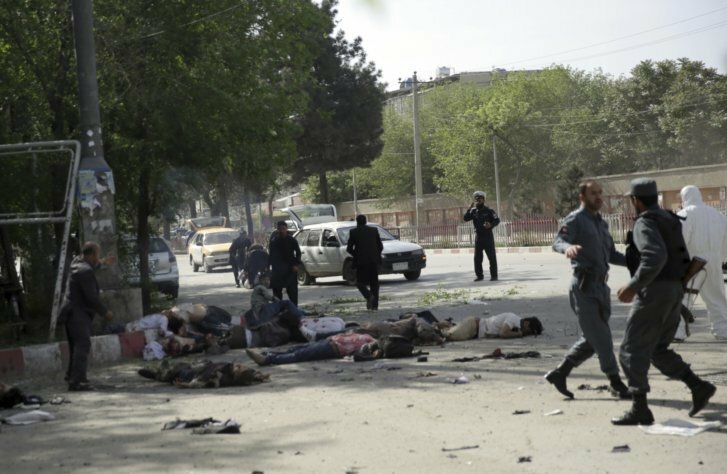 Multiple explosions in the Afghan capital of Kabul on Thursday killed six people and wounded 23 in an attack during celebrations to mark the Persian new year, government spokesmen said. The attacks came on Nowruz, an ancient Persian festival to mark the start of spring that is widely celebrated in many parts of Afghanistan but has also faced opposition from some hardline Islamists, who say it is un-Islamic. There were conflicting reports about of the cause of the blasts near the Kart-e Sakhi shrine, in a heavily Shia Muslim area in the west of Kabul. An Interior Ministry spokesman said mortar bombs had been fired. The Defence Ministry said in a post on twitter that three rockets were fired at civilian homes and Nowruz gatherings. The Defence Ministry said police had arrested the attacker and secured the area.